I've been wanting to clean and get a clean up computer tool for my pc to remove the unwanted junk files that I have. I noticed that my pc is slowing down these past few days and I seriously need to address that situation. Aside from wanting "clean" my pc, I also need to clean my closet. My closet is a bit messy and I wanted to organize my clothes so that I'll have an easier time to find what clothes that I need to wear. I wanted my closet to like this so I need to get extra hangers, boxes and have to ask my brother to make more shelves for me. I’m planning to buy another set of badminton rackets that we use for our weekly playtime and just right in time Toby’s Sports is having a ONE BIG SALE that started August. 17 up until Sept. 16, 2012. Some products will be discounted at up to 50% off so I have to head over at SM Megamall 2nd Floor Mega A. If you own a business, hiring employees can sometimes be a hard thing to do. Getting the right or the qualified person to do the certain work is crucial for no business wants employees who cannot deliver the work that is needed. Aside from wanting to get a competent employees, every employer wants to hire people who are honest and do not have criminal records. As part of their application or pre-screening, you also need to ask them for proper papers or certificate that they can submit for your perusal. At times, it’s not enough so you can do some background checks at easybackgrounds.com that can do the work for you. Oh dear, my friends are getting ga-ga over Maroon 5. Their concert in Manila will be on Sept. 18, 2012 at the Smart Araneta Coliseum. Their Special Guest The Cab but too bad, the tickets are all SOLD OUT already. I’m positive that screaming girls with banners will flock the arena and the concert stage and other musical instruments are all over the place. Just some of the popular songs that Maroon 5 sung are “She Will Be Loved”, ” “Misery”, “This Love”, “Sunday Morning”, “Makes Me Wonder” and more. I’ve been seeing a lot of women wearing neutral shades and I’m always tempted to buy more neutral colors for my closet. Actually, I love lively colors like red, green and yellow because I feel energized and bubbly wearing them and always feel gloomy or don’t look good when I wear gray or black. Neutral colors are classic, sophisticated and elegant and here are some neutral items that I hopefully I can score. Everyone wants a clean house and it goes the same to our offices and other commercial establishments. Nothing beats working in an environment where cleanliness is observed and maintain. Employees will be pleased and comfortable to work when they have clean work area as it promotes more creativity and good working relationships. Apart from that, your clients or visitors will have a good impression when they come to your office as office’s appearance or ambience also matters and have a great deal to many clients. Keeping an office or commercial areas need workers or cleaning specialists to do so. Maintaining the areas clean all the time is no joke for it requires workers who are professional and dedicated to their work this is where cleaning services come in. Vertnet Cleaning & Maintenance Services, has been in the business since 1991 and they are offering professional office cleaning services Montreal to their clients. Their wide range of cleaning services such as office maintenance & janitorial services, window cleaning , carpet cleaning, floor polishing, handy man services, minor repairs, plumbing, furniture assembly, clutter removal and after party cleaning just to name a few along with their diligent and dedicated cleaning team has earned them trust and loyalty from their clients. It’s also good to note that they are only using eco-friendly cleaning solutions on their services. Not only offices are kept keep but environment as well.Thumbs up for that! Like they say, shoes can make or break your entire outfit. Even if you are wearing designer dress or attire if your shoes do not much your outfit then it can be just a waste of money or you look will be ruined simply by wearing the wrong shoes. With that, we need to pick carefully the shoes that will perfectly fit your attire by trying different style and colors until you find the one. Apart from that, our shoes need to be comfortable when we wear it especially when we walk or stand for a long time. Just imagine the suffering that you can experience when the shoes that your wearing is ill fitted or the materials of the shoes are too stiff on your feet. We do not need to punish our feet by wearing shoes that only looks nice or stylish but are not comfortable for we can acquire bunions, tendonitis, hammer toes , heel pain and more. Thankfully, there are shoe companies that manufacture comfortable shoes for women, men and kids and you can find heaps of styles and brand at Schuler Shoes online. 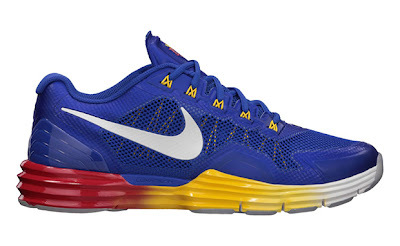 These are just some of the footwear that I found on their site. Actually, they have wide range of styles to choose from such as clogs, slippers, boots, running shoes, tailored, and athletics just to name a few of different styles, colors and brand. If we wear comfortable shoes, we can also walk with confidence and style. I’ve always wanted to wear all white when I go out but I’m not that confident yet. I’s always on my head that I need to be extra careful wearing all white simply because white can get dirty easily or dirt can be seen easily. After seeing all these women wearing white dress, shirt or pants, I guess I need to try it one time. Here are some styles that I dig. My work sched can be busy at times but I have to make sure that I will have my “ME” time every month or so because if not, I will feel unhygienic especially when I don’t have my nails done. Having a haircut/hairspa/haircolor plus manicure/pedicure is necessary for me. Going to the salon also is a way for me to de-stress. There are occasions that I just do my own nails but most of the times, calling my manicurist for a home service of my manicure and pedicure is a much better idea. I just love the feeling when my nails are being buffed and filed while I’m comfortably seating at our house. Aside from that, choosing a nail color also adds another excitement to me. 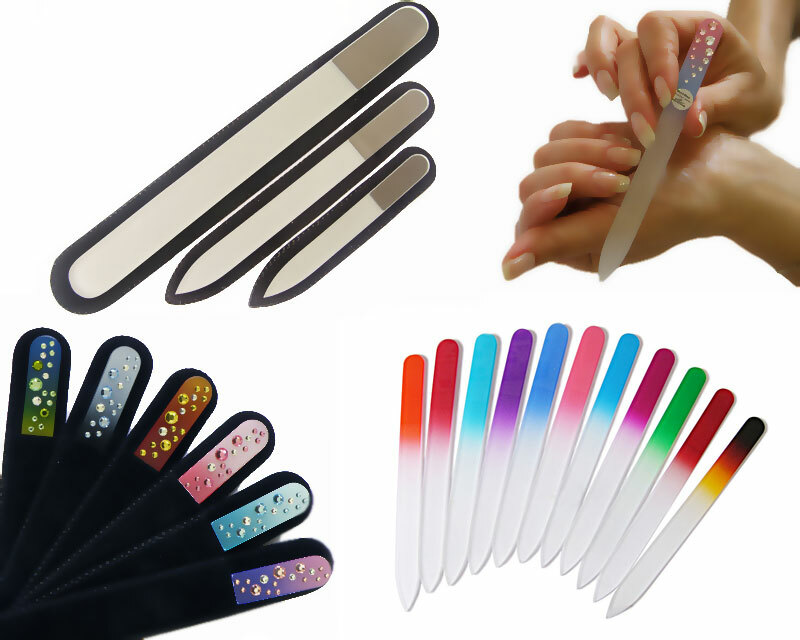 I have never thought that nail files can also come in various colors or designs not until I saw samples at czech-glass-nail-files.com whilst browsing for nail care tools that I need. Their quality crystal nail files and glass nail files are manufactured by Mont Bleu from Prague, Czech Republic and they have different collections for personal use and as gifts. 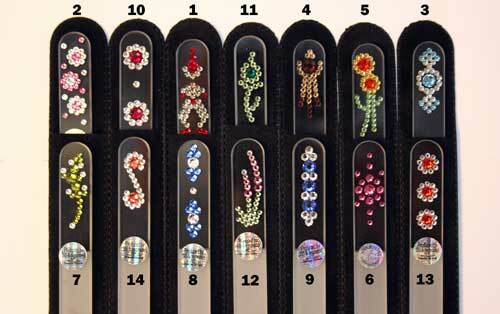 I was in admiration when I saw the stylish nail files that are decorated with Swarovski crystals. Those can be a perfect gift for friends and for our fave manicurist, salon owners etc. They also cater promotional nail files wherein your company logo or designs can be printed on the nail files thus making it a good promotional give-away for clients and distributors. Hand painted nail files are also available and I have to say that their products can meet the nail care needs of their customers. It’s Rainy seasons now here on our part of the world and sometimes the rain is sickening already. There are also flood, mud on the streets that’s why at times it’s just better to stay at home if going out is not necessary. If you are a guitar player, I’m sure that you know that nothing beats using a quality guitar when you perform or practice. There are practically numerous brands in the market but one of the popular ones is the PRS or the Paul Reed Smith guitars. Carlos Santana is know to use it for years and that also made PRS top quality guitars to use. Take a peek at the Louis Vuitton PreFall 2012 Lookbook so you'll have an idea or inspiration what will be the trend for Fall. I personally love the green pants with black top matched with green bag (0:11) and the (0:43) black skirt with leather jacket. Other looks are great too as they are elegant, fashionable and glamorous. Basketball is by far one of the popular sports not only in America but all over the world. One of the best choice to give to those basketball fanatics are personalized basketball. You can either choose to put your logo or photo on the basketball to suit your taste. Check out the basketball gifts at resportsinc.com so you can choose whatever designs you want. If you also have a basketball team, basketball gifts are definitely a perfect gift to give to your your fans or friends who are continuously supporting your team. My fave voucher store, Cash Cash Pinoy, featured this cute Apple Shape Lamp for only Php399. It was originally priced at P594, so you’ll get 33% when you purchase it. I have bought lots of items or services at Cashcash so the site is very legit!. Katie Holmes is probably the most talked about celebrity this summer. Her sudden and very public divorce from Hollywood Star Tom Cruise was all over the internet and tabloids the past few weeks. So suddenly Mrs. Holmes is making headlines again - not necessarily work related headlines, though. The former Dawson's Creek Star is known for her great taste in fashion and her extraordinary style. She is pairing lose fit boyfriend jeans and simple white t-shirts with luxury watches like the ones on www.chrono24.com or wears beautiful gowns to award shows like the Emmy's. Before Katie Holmes became an actress she did some modeling. The fashion industry seems to be her main focus right now. She started her own label „Holmes & Yang" in 2008 and plans on presenting it at the New York Fashion Week 2012. She also graces the Elle Cover in August 2012. Though an actress, Holmes seems to see the fashion business as her main occupation. Besides from being a fashionable celebrity she also is a mother. Her six year old daughter with Tom Cruise, Suri Cruise, is one of the most famous celebrity kids. The little girl wore her first shoes with heels at the age of 4, when most children run barefeet in the backyard. Suri is quite familiar with designer lables such as Micheal Kors and Armani, as she is constantly surrounded by these high end products. She loves to dress up, even though I sometimes doubt if her styling is really her choice or her mothers. But the six year old seems so comfortable in her various pink dresses, that it seems possible this is more than just playing dress-up. Even accompanying her father Tom to an award ceremony in a spectacular evening gown, resembling a cute little princess, looks natural to her. Not so few people think Suri is just a live fashion accessory to her mother though. But that does not change the fact that Suri Cruise is one of the world's most stylish celebrity kids, alongside Gwen Stefanie's son Kingston Rossdale an Madonna's daughter Lourdes. Here's to hoping that Suri and her mom continue to make positive headlines in the future and that mother and daughter have a fun time being the most fashionable mother-daughter duo around.